Apparently System Shock 3 is going to be made, or at least a teaser for the game has been put online by the developer Otherside Entertainment. Otherside, which was founded by Paul Neurath (who co-founded Looking Glass Studios, originally responsible for the System Shock franchise), is a studio that specialises in rebooting franchises and is currently working on Underworld Ascendant, a reprise of the classic Ultima Underworld (also from Looking Glass). So the cap certainly fits, and as PC Gamer reports, a teaser web page is up which shows the letter 'S' and a countdown displaying five and a half days remaining. 'S' could mean anything, of course, but elsewhere there's a second page which was dug up with 'System Shock 3' emblazoned across it and links to sign up for promotions and updates from Otherside. 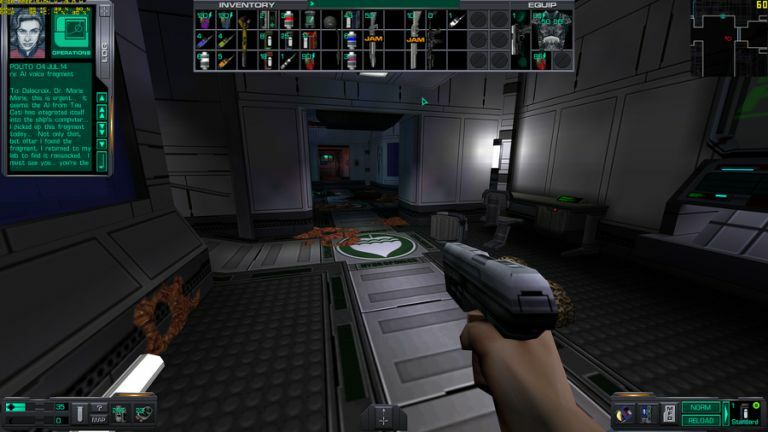 It would seem likely that just as the case was with Ultima Ascendant, this will be a crowdfunded project – and given the love for System Shock, which is regarded as a classic series in so many ways, it will doubtless find no shortage of willing donors. Underworld Ascendant picked up some $860,000 (around £570,000) in funding, and has a release date of November 2016 pencilled in. So presumably, development of any new System Shock game wouldn't begin until after Ascendant, so not until 2017 at the earliest – and of course, there will be a long road to travel from there onwards. If this potential project does become a reality, fans of the System Shock games would be wise to hope Otherside takes its time in making a worthy three-quel – and given that Neurath's team is involved, one that should stick to its true roots (though some are already voicing fears that we could see a watered-down third instalment, a la Bioshock – we don't believe this will be the case, though). If the timer is anything to go by, with any luck we'll have official confirmation of the existence of this title at the start of next week.